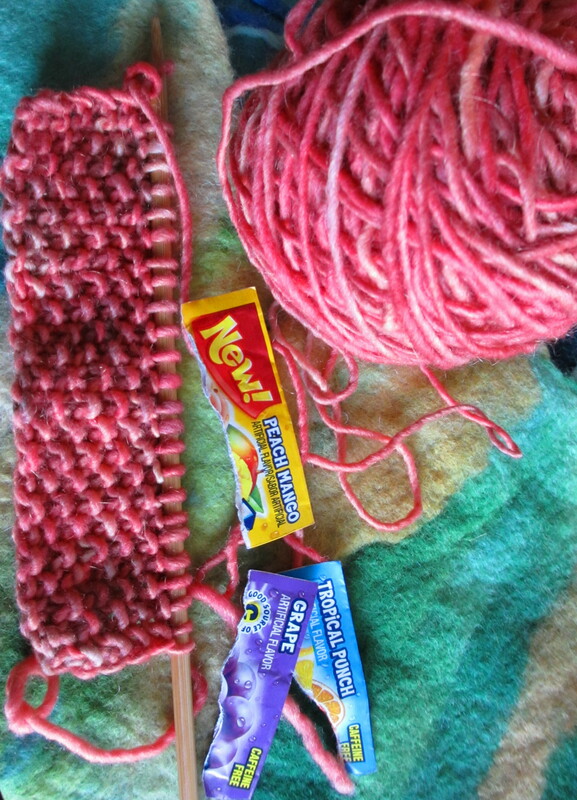 Armed with packets of peach mango, grape and tropical punch Kool-Aid, Knitorious poised with a turkey baster, dyed one skein of Lamb’s Pride Worsted (Color M-10 Cream) with the childhood beverage. Each packet was mixed individually in cups with 1/2 c. of water and 1/4 c. of vinegar. The hanks of yarn were soaked in a mixture of about 5 gallons of water and 1 c. of vinegar for thirty minutes prior to dyeing. 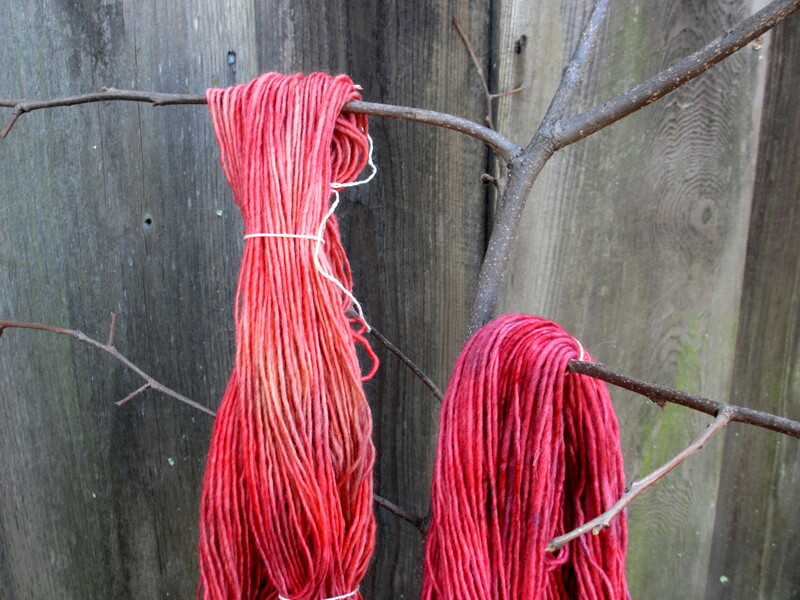 The yarn was arranged in a pyrex dish for the application of dye. 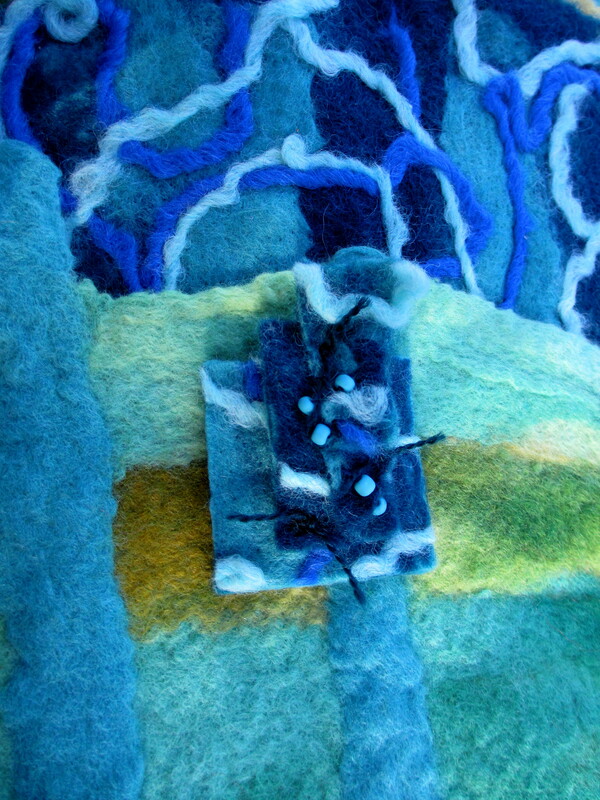 After the dye was applied, the yarn was heated on high for two minutes using a microwave. After the yarn cooled for two minutes, the yarn was placed in tepid water and hung to dry. The wool/mohair combination of Lamb’s Pride Worsted produced a halo effect which enhanced the resulting color.